Sometimes I like to get out of my comfort zone and try out something new that I normally wouldn't wear. It's always nice to get away from neutral colors and stripes every now and again. 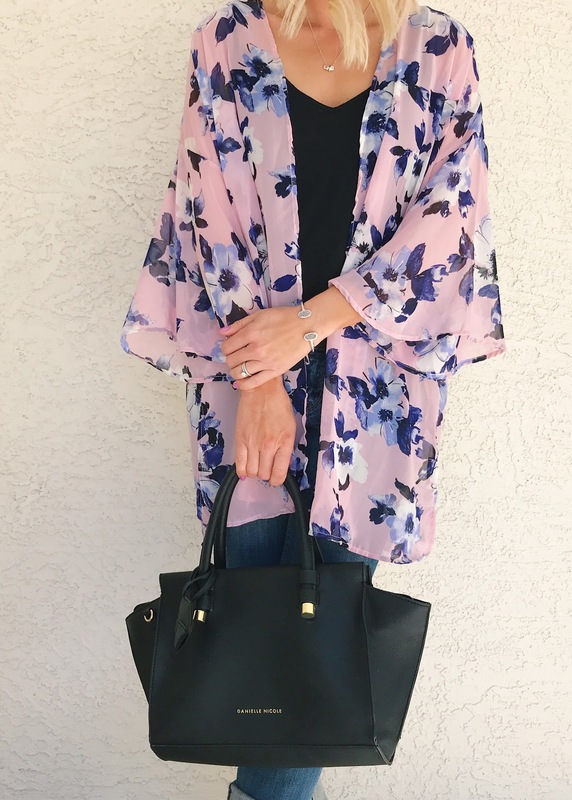 Lately, I've been loving floral prints and bright spring colors. Whenever I need a good floral print, I always like to browse my favorite online boutique, PinkBlush. 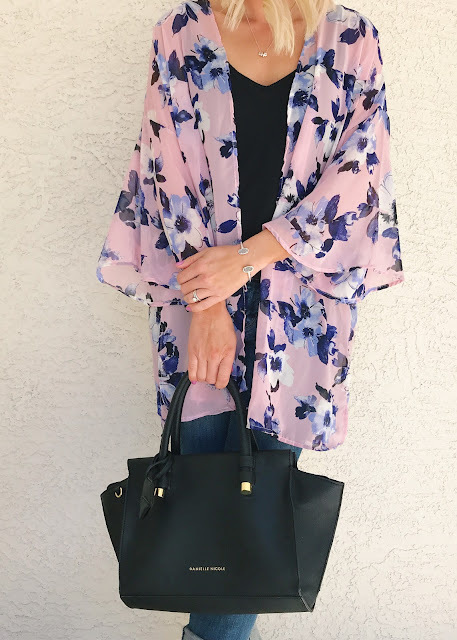 When I came across this floral chiffon kimono (HERE), I immediately started to brainstorm all the different ways that I could wear it in the up coming months. I like to layer a lot, but when it's hot out, you can't layer up. 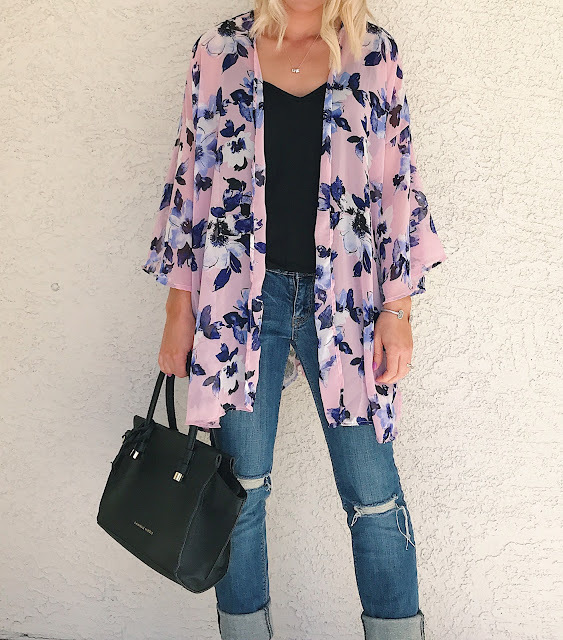 That's why I felt this kimono would be the perfect way to still get away with wearing a layer over my tank tops and dresses this summer. I figured that I could also wear it as a bathing suit cover up as well. 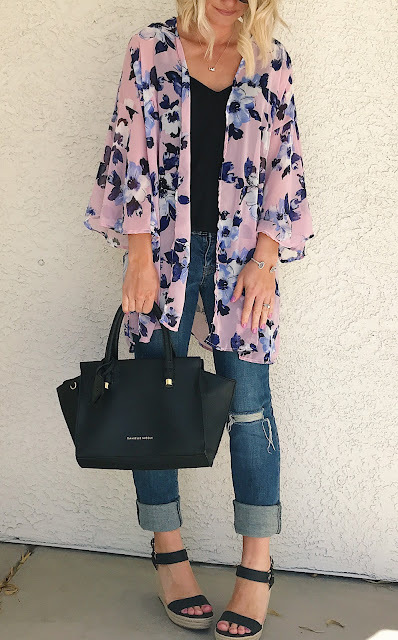 For today's look, I put together a fun spring look with distress jeans, wedge sandals and black tank top. I cannot wait to wear this look!! *This post is part of a collaboration with PinkBlush. Although I was gifted this item, all opinion's are 100% my own. 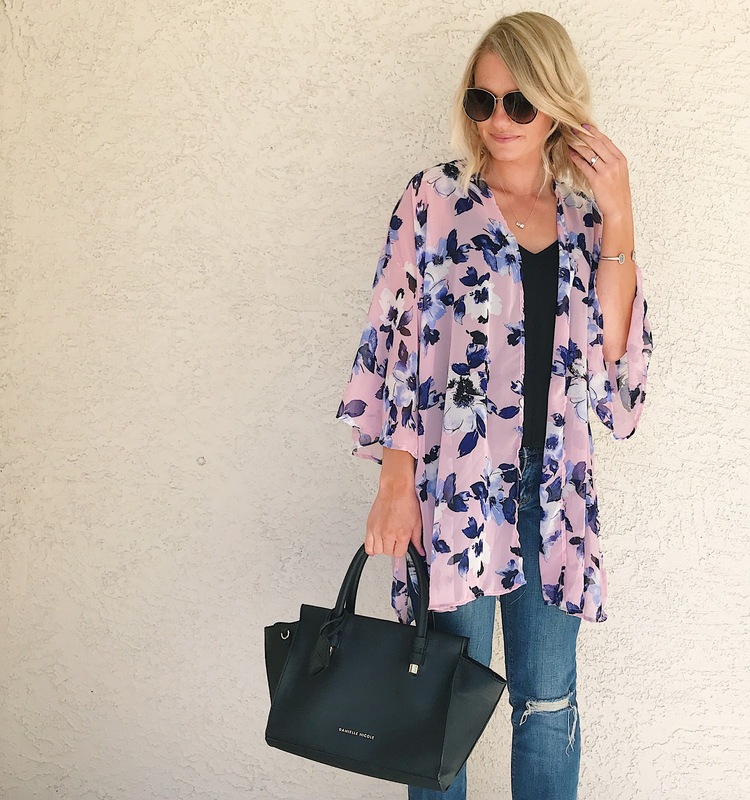 Check out PinkBlush for more styles like this one!